When faced with the potential of having a surgery, it's important to walk into your scheduled surgery day confident that it will be correctly performed. One way to build your confidence on surgery day is to make sure you've done all of your homework. Getting a second opinion is the best way to feel confident about the surgical path you are on. An opinion is a belief or view of a large number or majority of people about a particular thing. 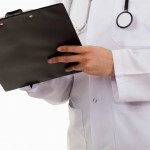 When anticipating surgery, you want to make sure several doctors are in agreement with the course that is to be taken. Second opinions are fairly routine. They bring peace of mind and encourage patient engagement and confidence about their path to recovery. At times, patients feel uncomfortable expressing that they will be consulting with another doctor. You need to realize that any good doctor is not offended by, or shocked by, your desire for a second opinion. If a doctor does show any sort of annoyance or discomfort with your desire for a second opinion, that is your clue to go someplace else. It's important to keep in mind that doctors will not always contradict each other when obtaining a second opinion. Getting two doctors that agree on or confirm treatment plans is a good thing. If they have differing opinions, you may need to find another doctor. Be careful not to enter into a wild goose chase. Use your intuition and check the testimonials of other patients who have used a particular doctor. At Ortho Sport & Spine, our patient testimonials speak for themselves. Come into our office for your second opinion, so you can feel confident about your upcoming surgery.